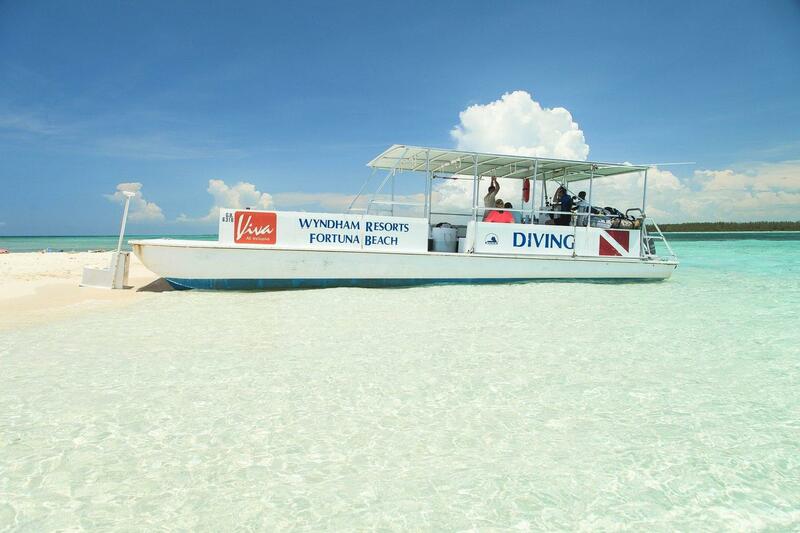 Reef Oasis @ Viva Wyndham Fortuna Beach is an all-inclusive dive center and resort on Grand Bahama Island. 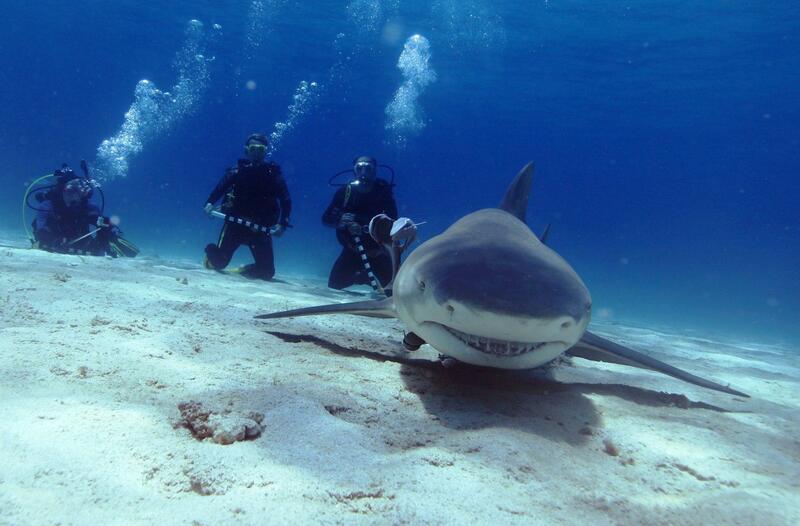 This is one of the best places in the Caribbean to see sharks, including grey caribbean reef sharks and tiger sharks. 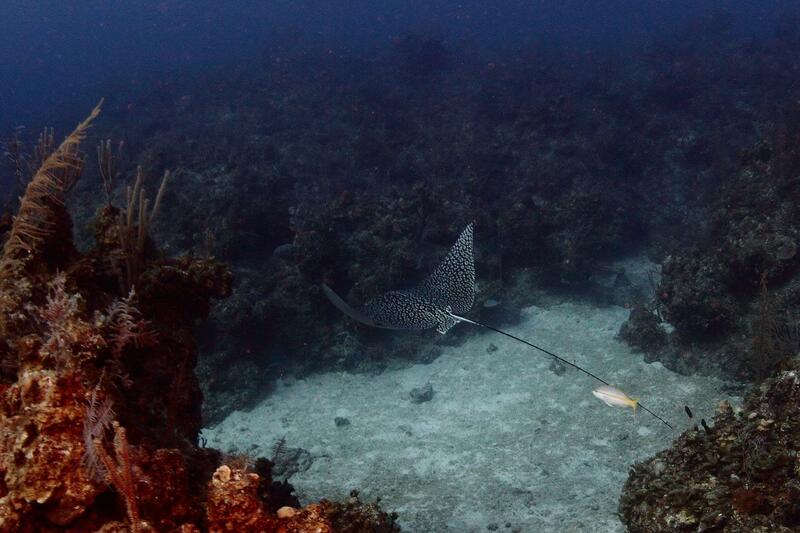 Look out for yellow tail snapper, arrow crabs, juvenile reef fish, spotted rays and more! 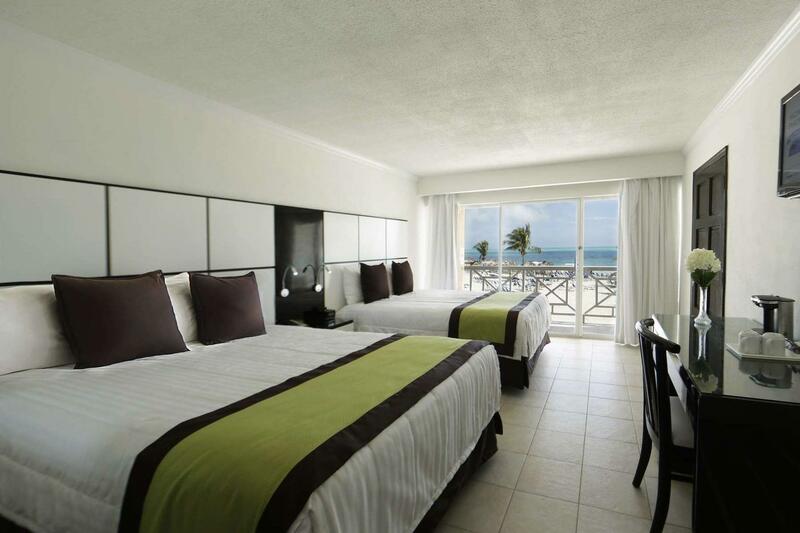 The resort is set on a large, white sand beach overlooking the Caribbean Sea. 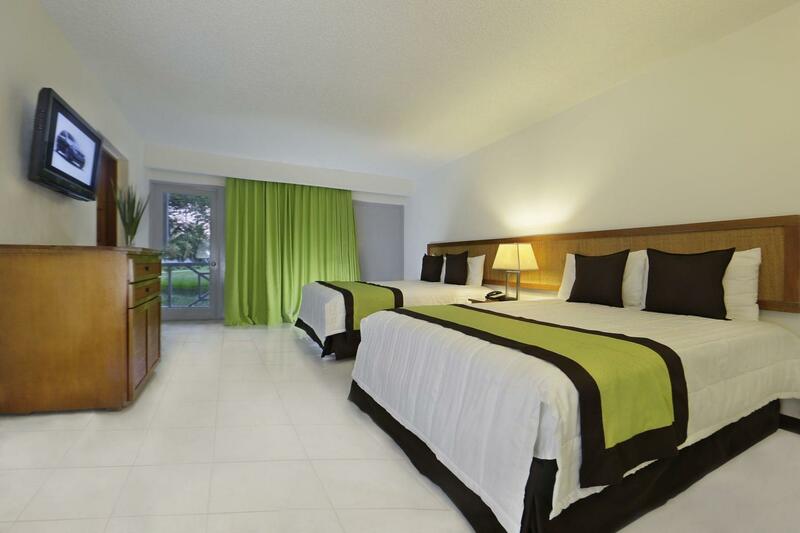 Every room comes with air-conditioning, free WiFi, a TV and large windows. 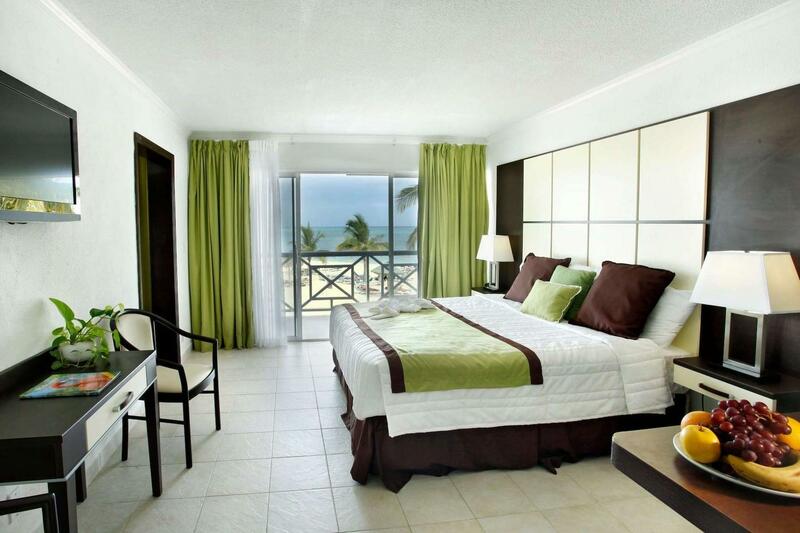 Facilities include a hot tub, tennis court, swimming pool surrounded by sun loungers, disco, theatre and a fitness center. 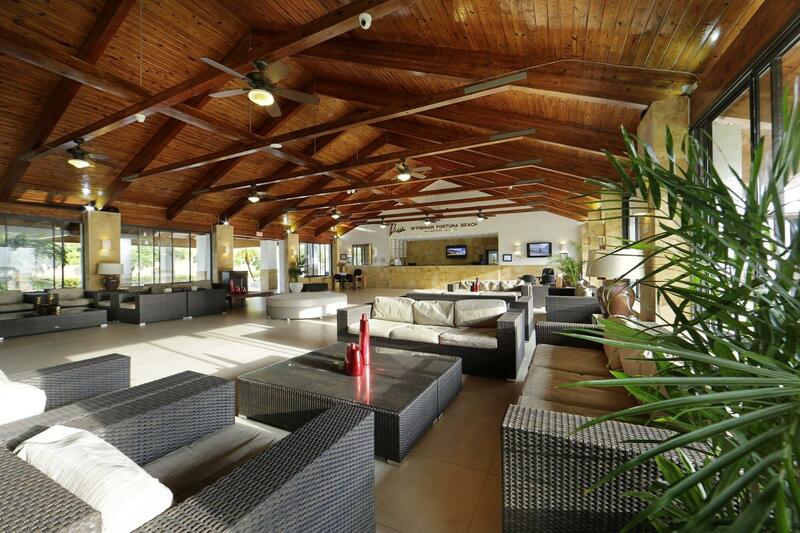 Theme nights, parties and dinners are regularly organised, alongside water aerobics, yoga and meditation classes. 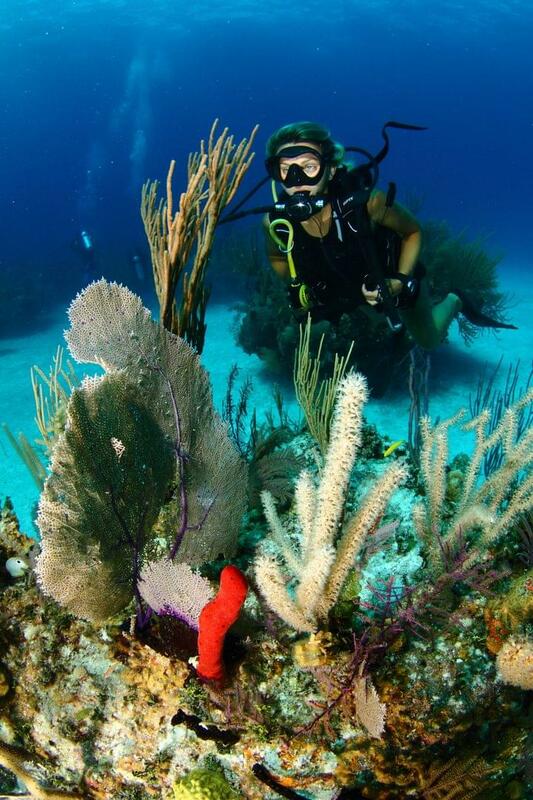 There are nearly 50 dive sites immediately surrounding Grand Bahama Island with several more located within a short boat ride offshore. 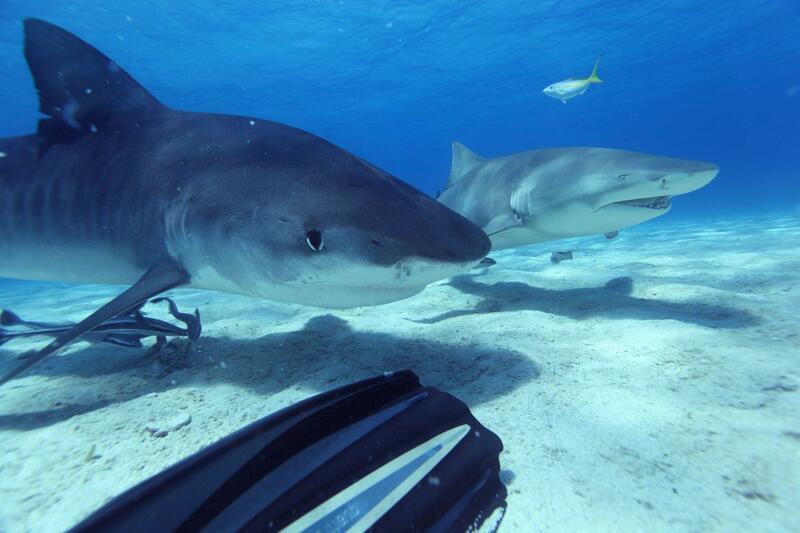 If you’re here for the shark diving, don’t miss Tiger Beach or Shark Junction. 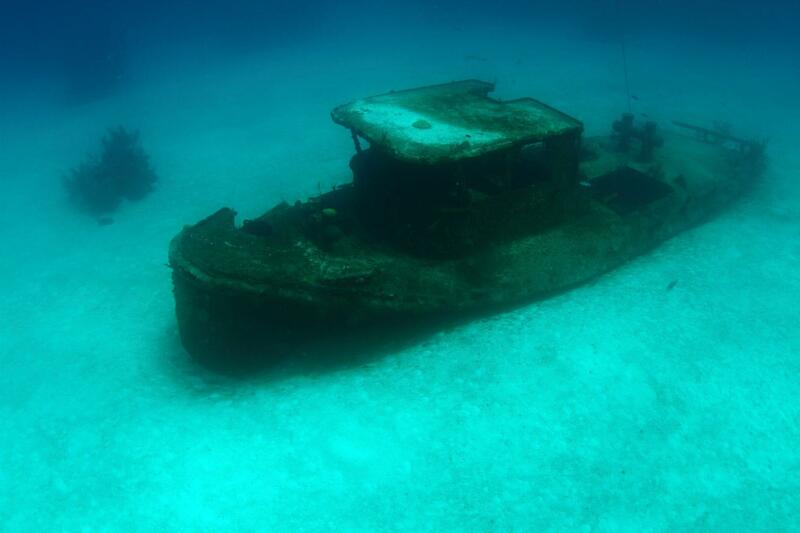 Popular wreck dives include Theo’s Wreck and Sugar Wreck at Grand Bahama. 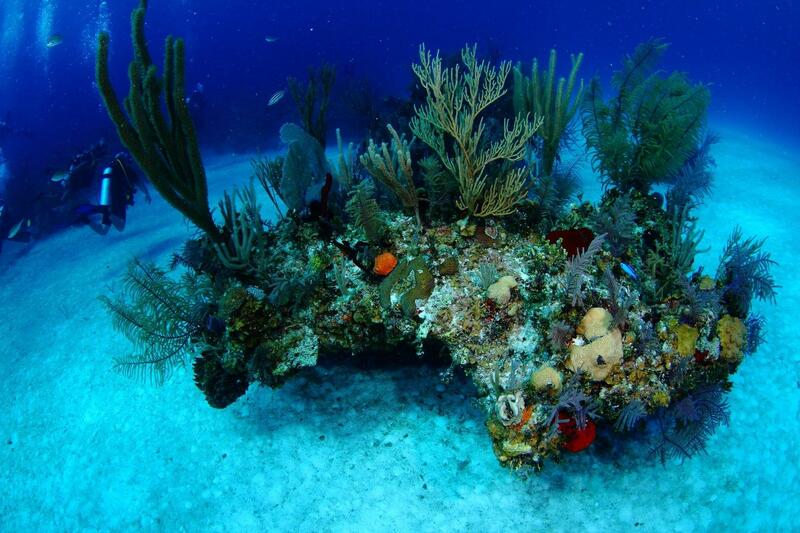 You should also check out Jose’s Wreck, a tugboat that balances on two separate corals. 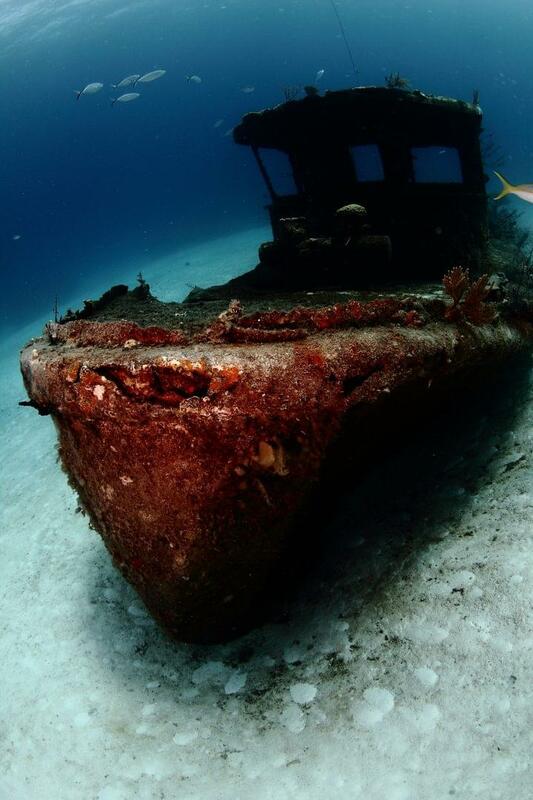 You can actually swim under the boat to see the hidden wildlife beneath, a rare treat! 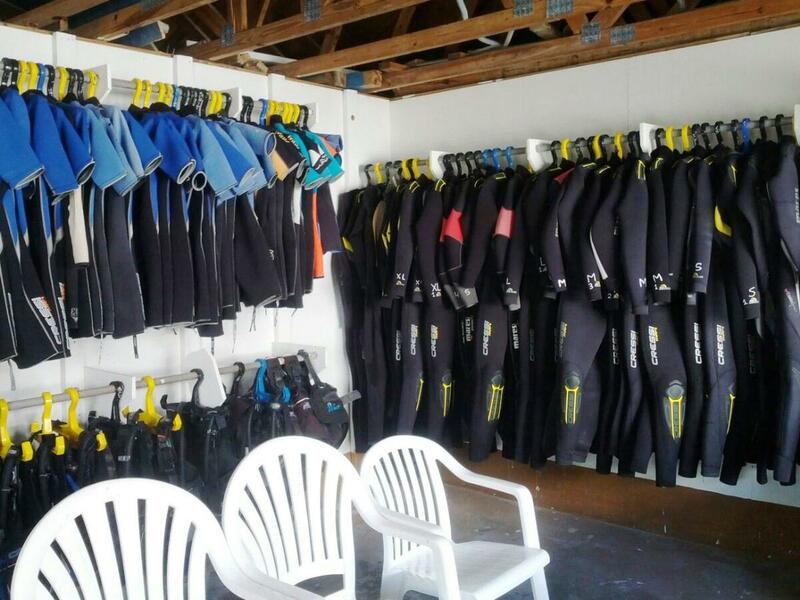 For walls and coral reefs, divers can head to the shallow reefs of Silver Reef and Sanctuary Reef or the medium-depth reefs such as Angel Camp and The Chamber. 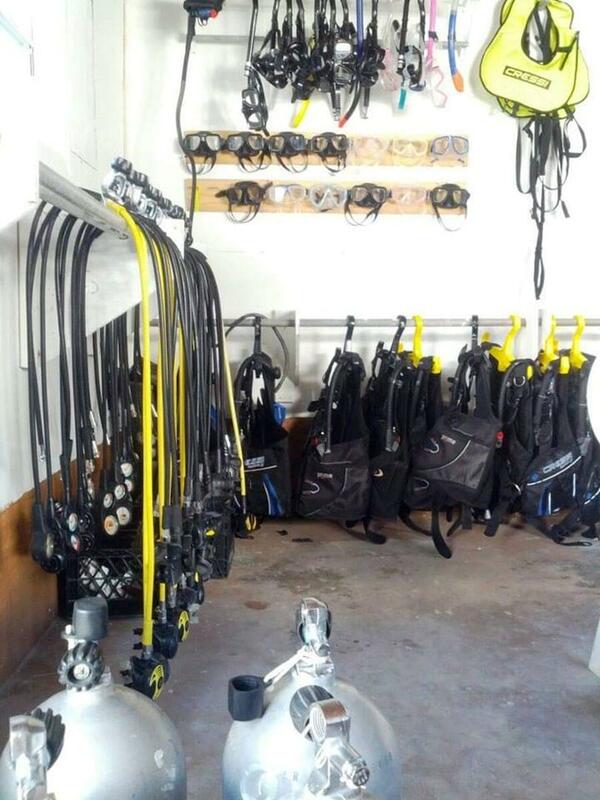 There are also a few deep reefs for advanced divers like Gail’s Grotto and Tunnels. 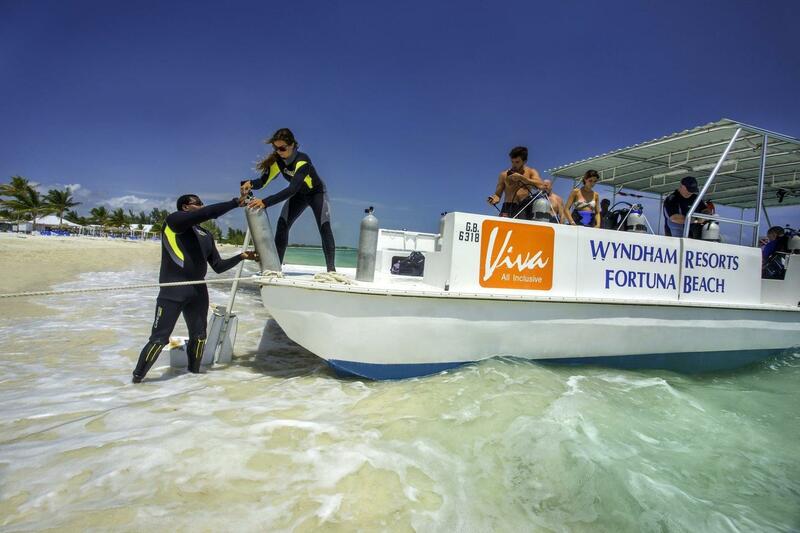 As a popular tourist destination, Grand Bahama Island has plenty of snorkeling opportunities. 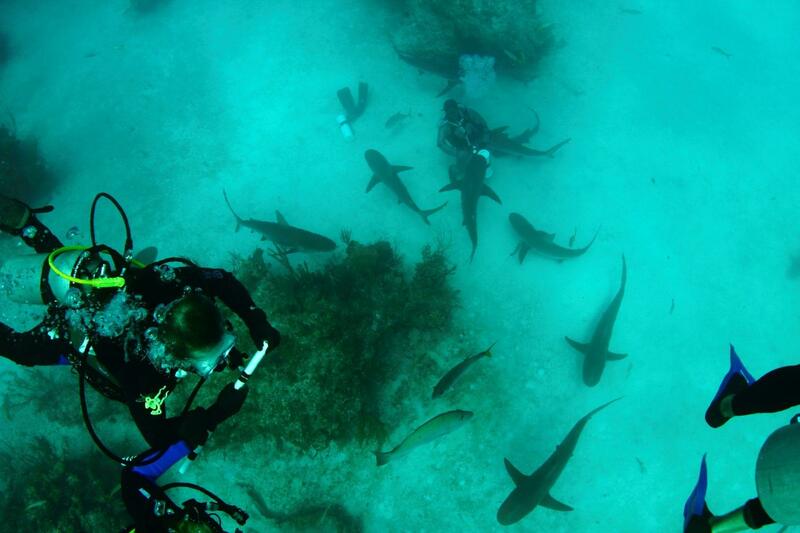 Many of the best sites are located offshore and accessible only to guests on boat tours. 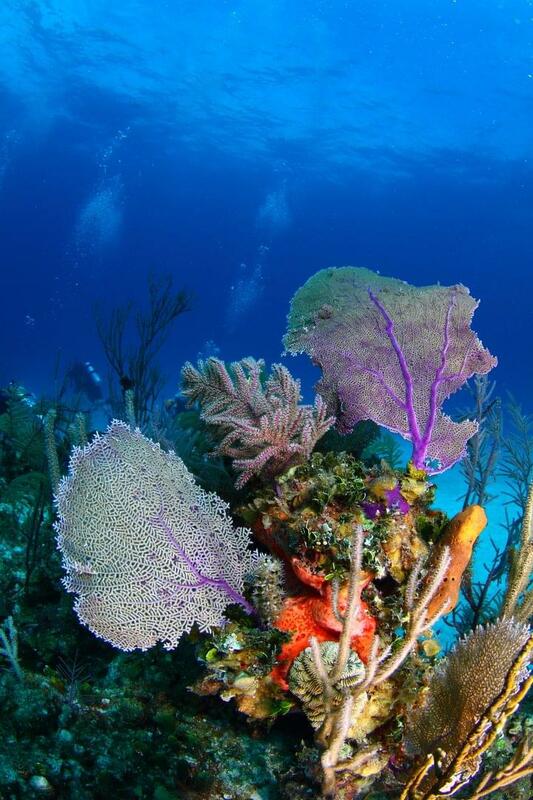 However, Paradise Cove and Peterson Cay both have snorkeling spots within swimming distance of shore. 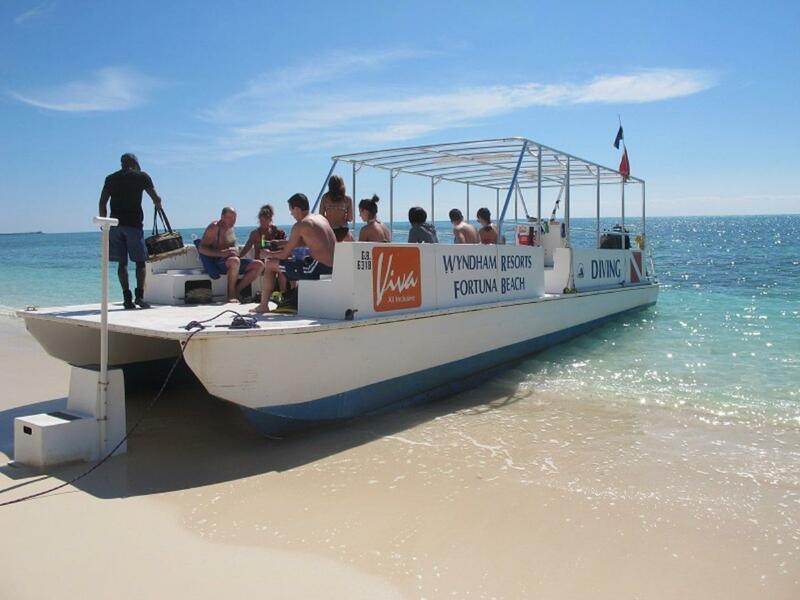 If you are interested, several operators on the island provide combination tours with sightseeing, adventure activities and snorkeling throughout the day. 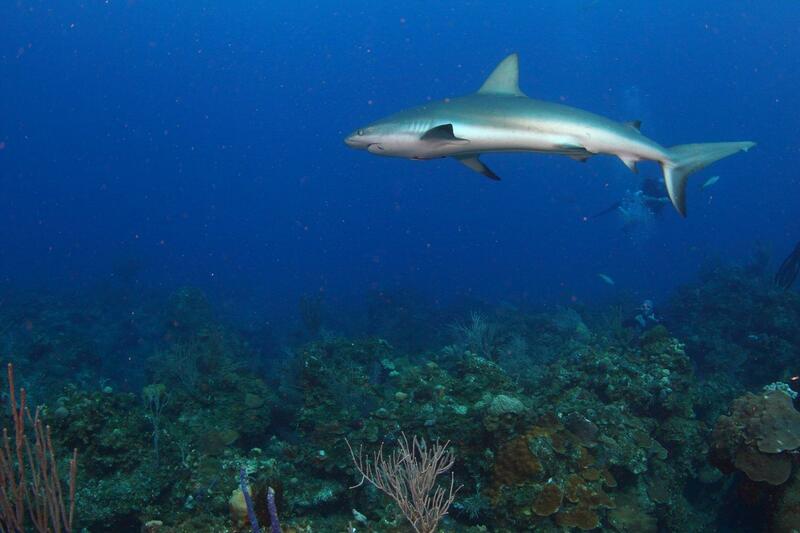 Animals flock to the extensive barrier reef that borders the islands, the third largest in the world. 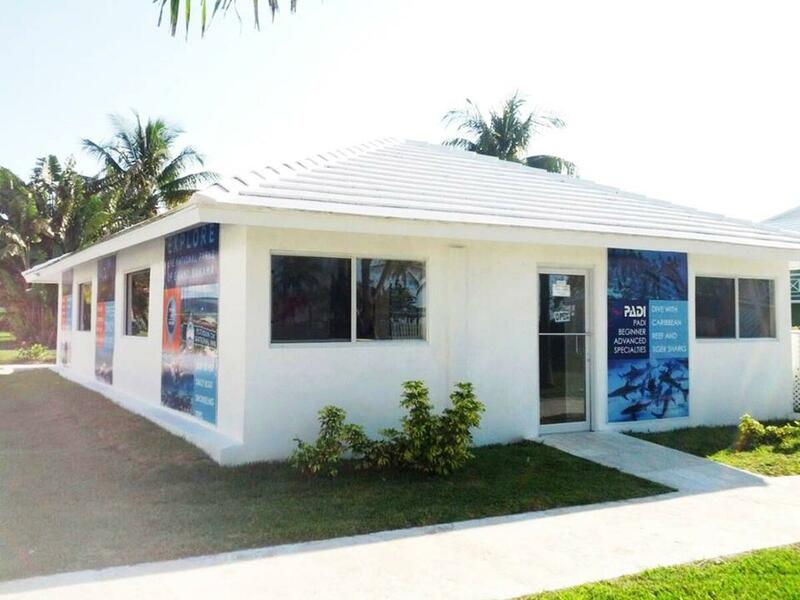 You can see leatherback turtles during certain seasons. 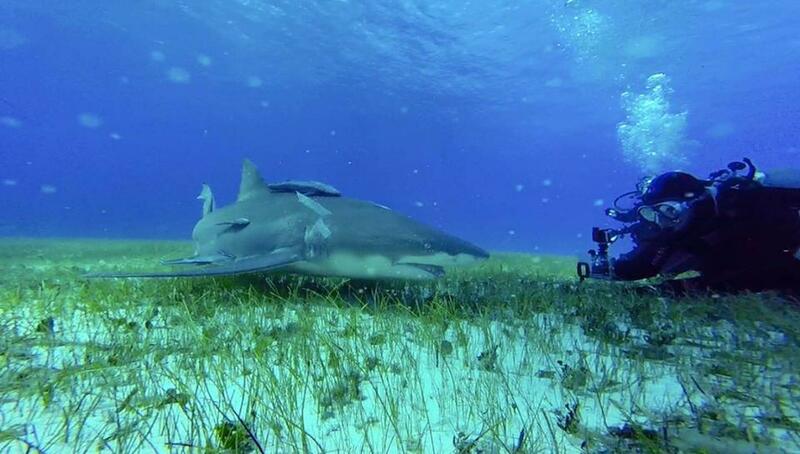 During a reef dive, watch for nurse sharks as they rest quietly on the seafloor, or one of the several species of rays that call these waters home. 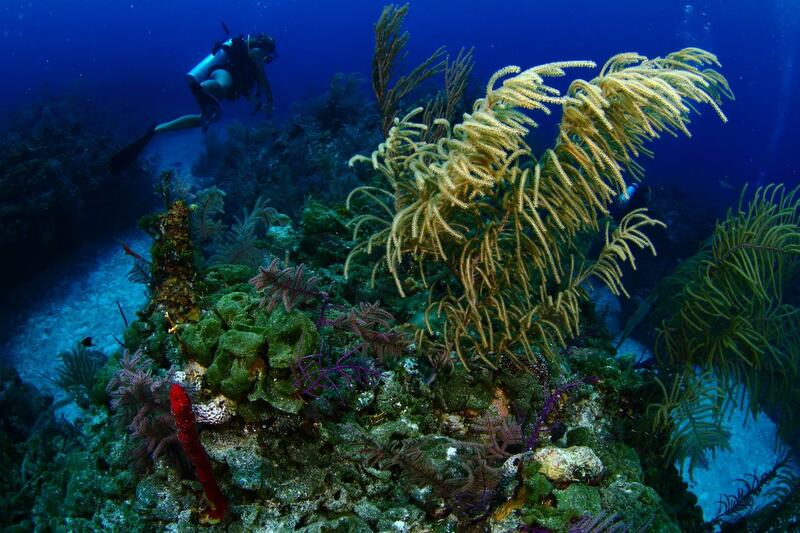 In deeper waters, look out for the Nassau Grouper, a fantastically large fish that can only be found off the shores of the Bahamas. 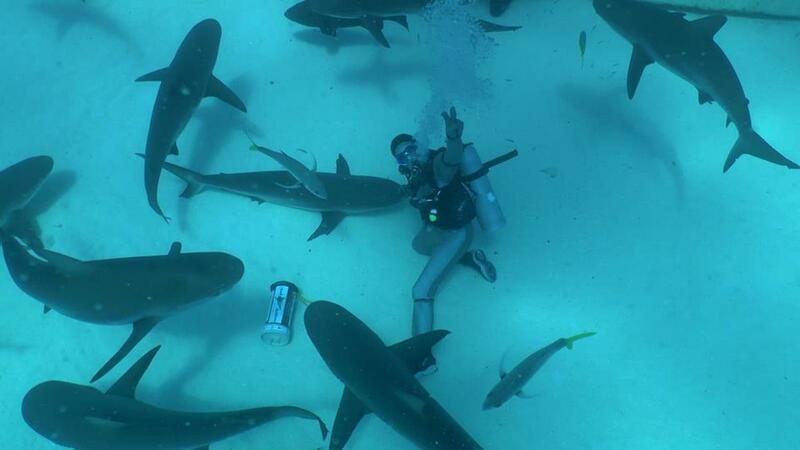 If you’ve ever been tempted by the thought of shark diving, Freeport is the place to finally bite the bullet. 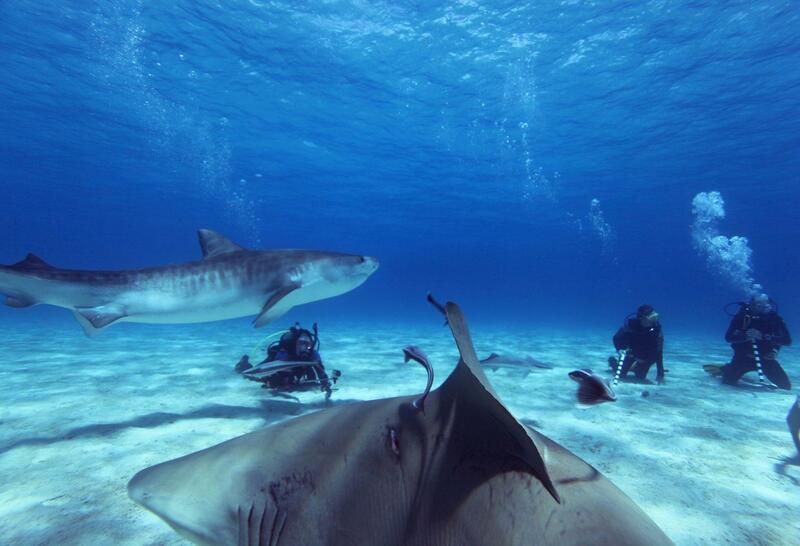 There are several different sharks to dive with, but tiger sharks are the most popular. 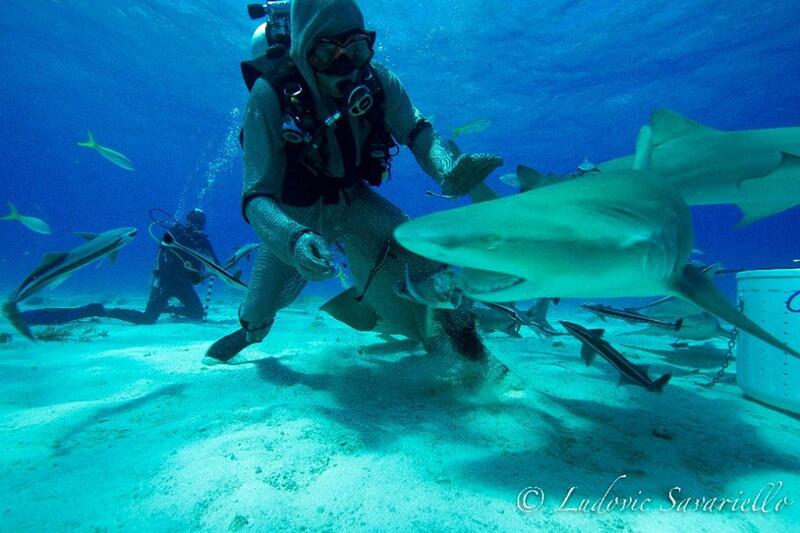 You can dive a cage, or without, depending on your comfort level. 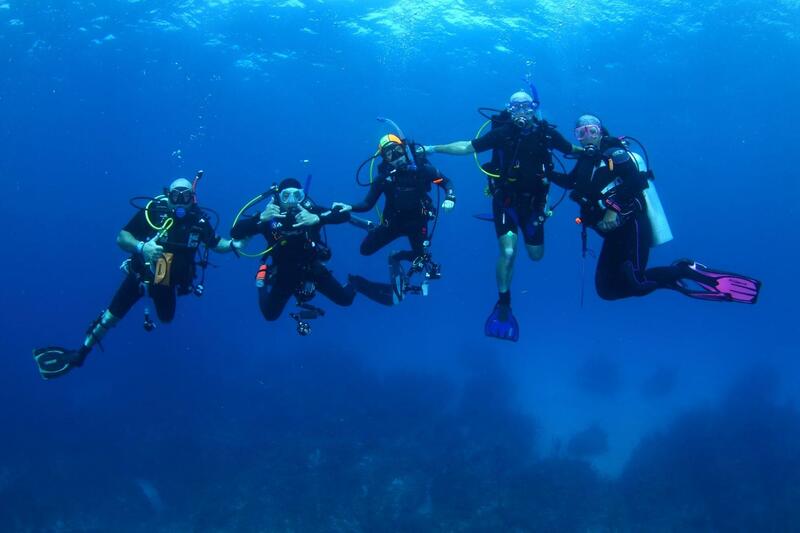 Another favorite water activity in Freeport is swimming or diving with dolphins. 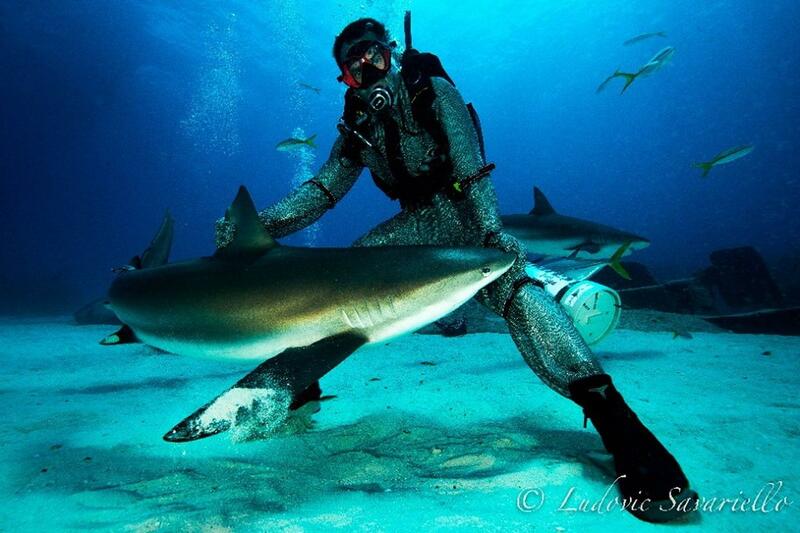 There are few other places in the world where you can swim with playful dolphins in the wild. 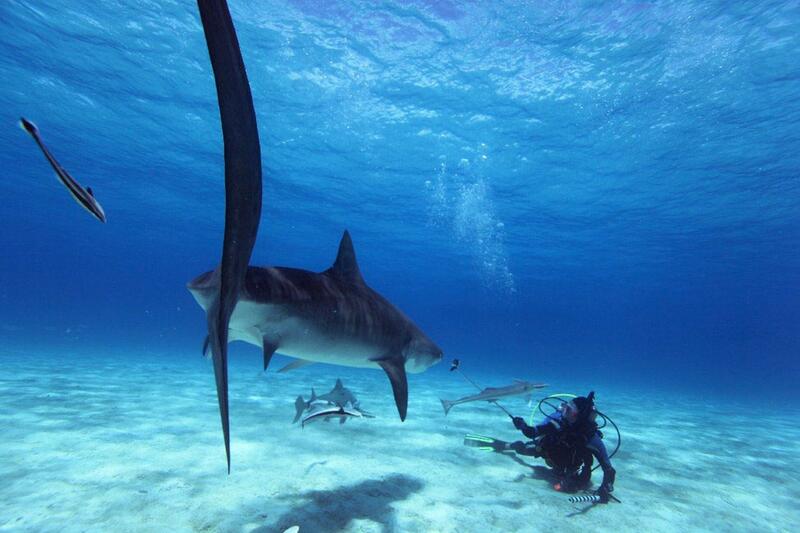 Tucked into a protected lagoon, you can interact with these beautiful creatures, relaxing in the waters. 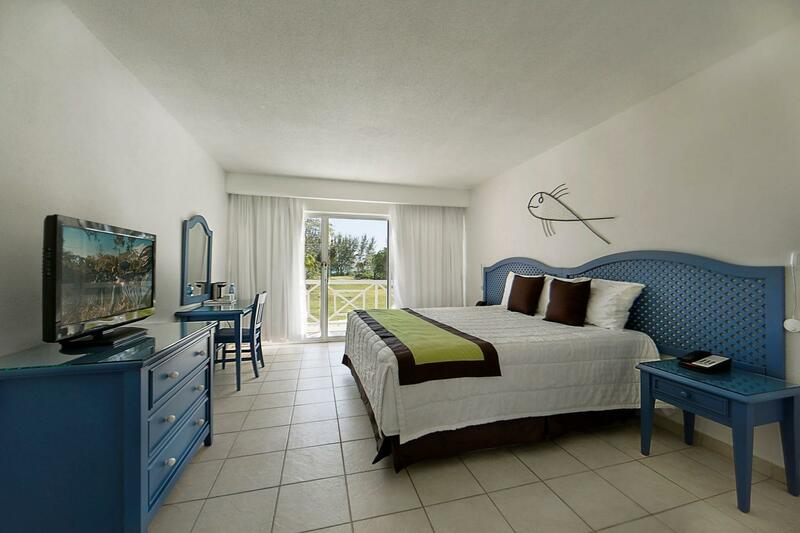 Reef Oasis Viva Bahamas is a beachfront PADI 5* Dive Resort at Viva Wyndham Fortuna Beach. 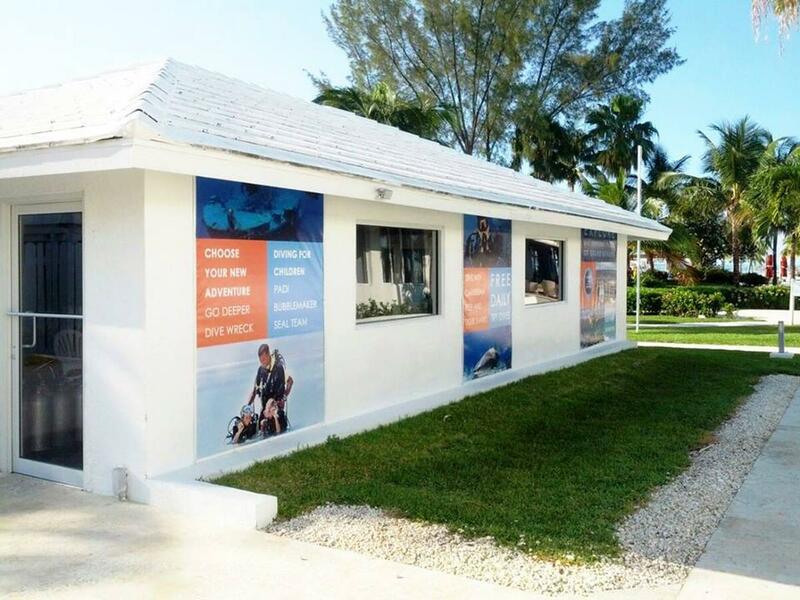 The dive center offers daily dive trips directly from the resort beach. 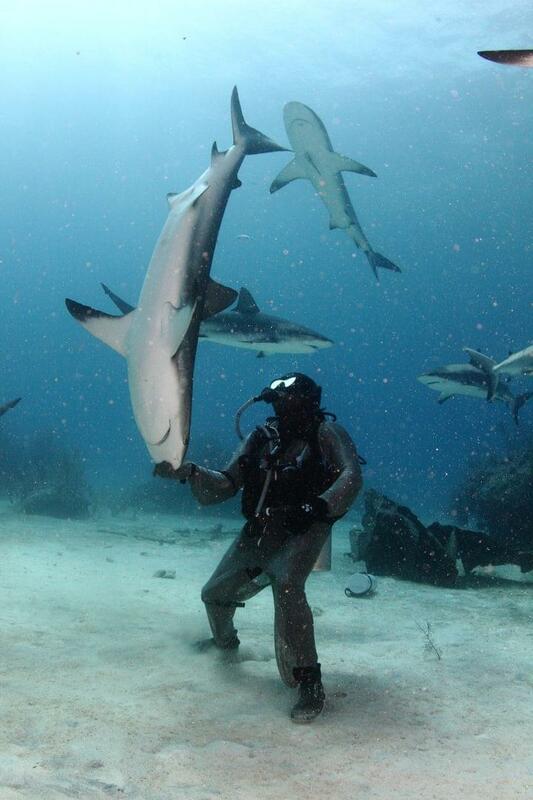 The area is a prime spot for shark diving. 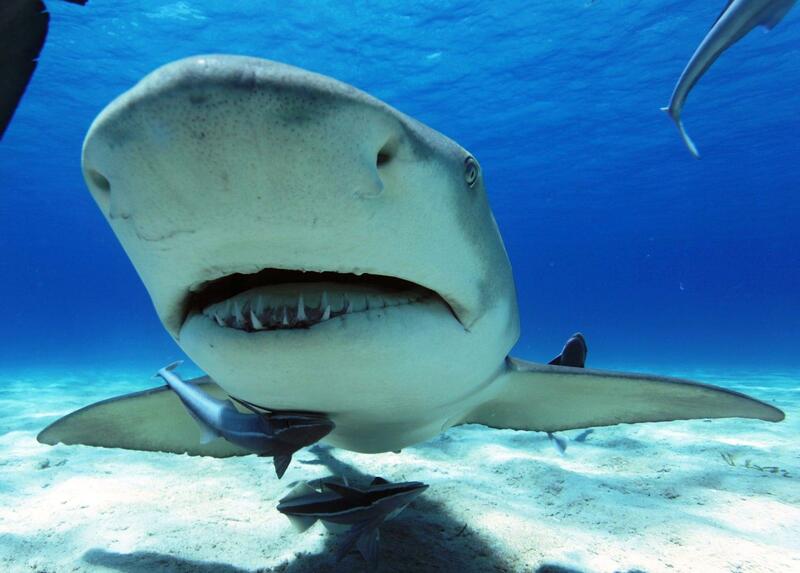 A visit to Tiger Beach offers high chances of a tiger shark sighting. 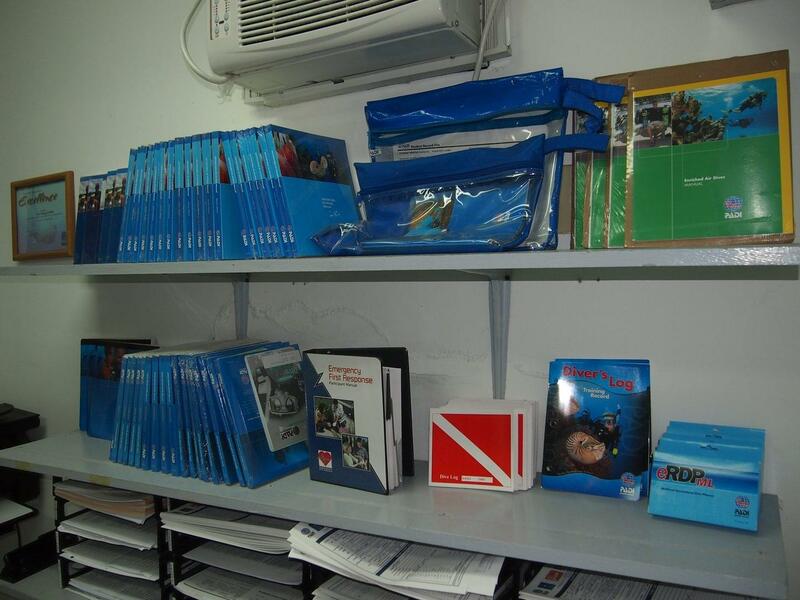 A full range of PADI recreational courses are delivered in English, Spanish, German, French, Italian and Russian. 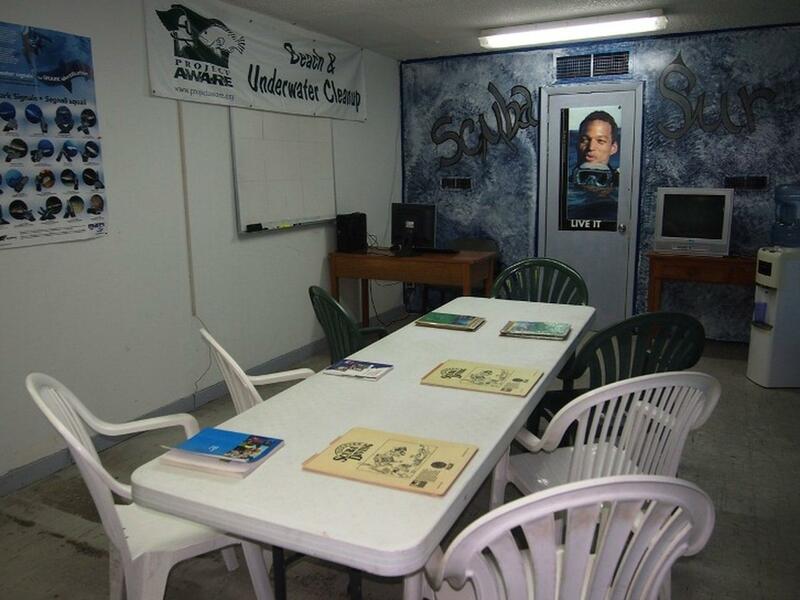 The dive center boasts two boats; one large, shaded vessel accommodating up to 22 divers, plus a smaller speed boat taking up to 6 divers. 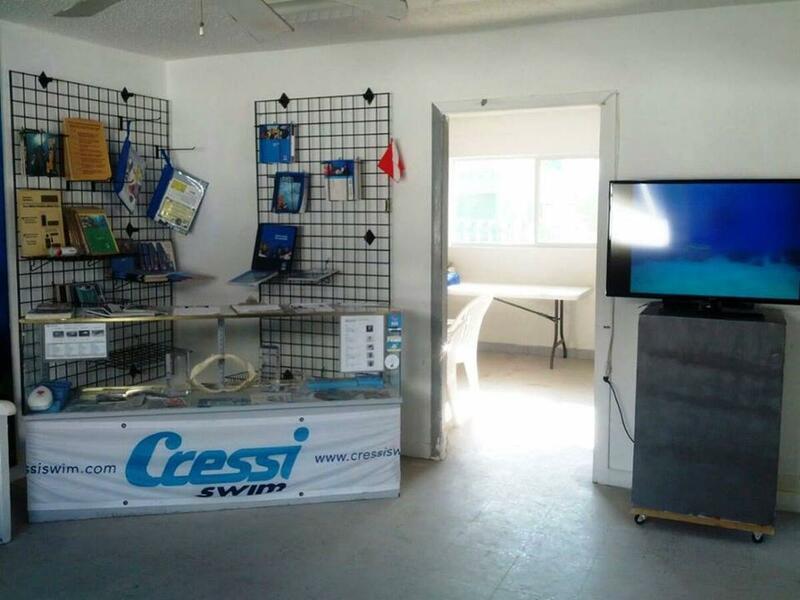 Facilities include a filling station, fish ID and diving book selection, gear rental and storage space, a shop and access to a large swimming pool for training. Make sure you agree a price with the driver before setting off. The best way to return to the airport is also by taxi. 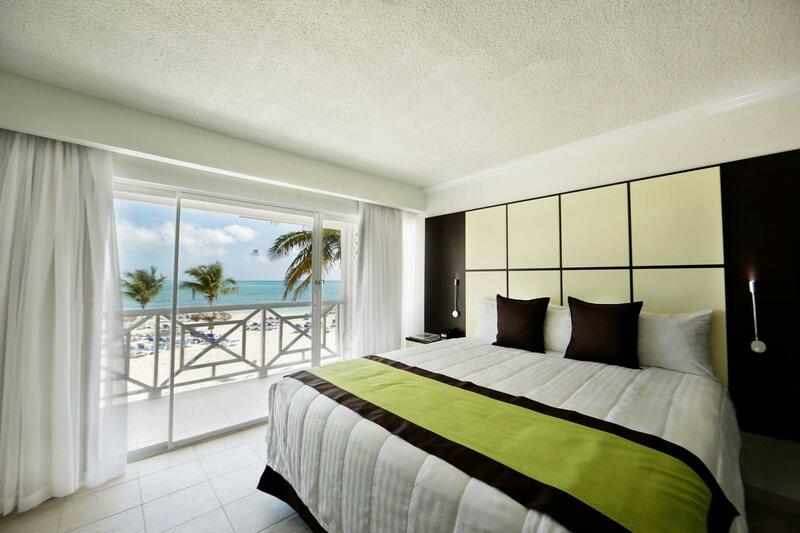 The resort can call a taxi for you, but you should still agree a price before setting off.